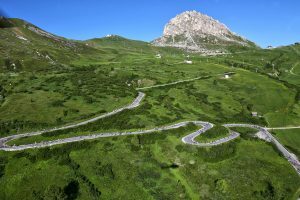 We already wrote about the “Great Dolomites Road” in the section about the Pordoi climb from Canazei (read here). 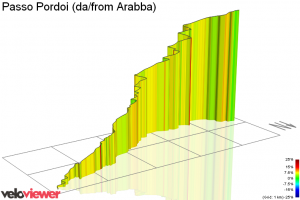 On the Arabba side, the engineer just did the same great job – a climb with an average grade that never goes above 7%. 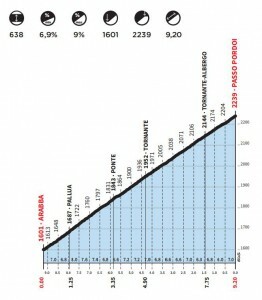 If you look at the elevation profile in the chart above, it’s just a straight line from Arabba to the top of the Pordoi. Of course, that’s true – until wind doesn’t get in game and, like the Campolongo climb from Arabba, wind decides the pace of your climb. 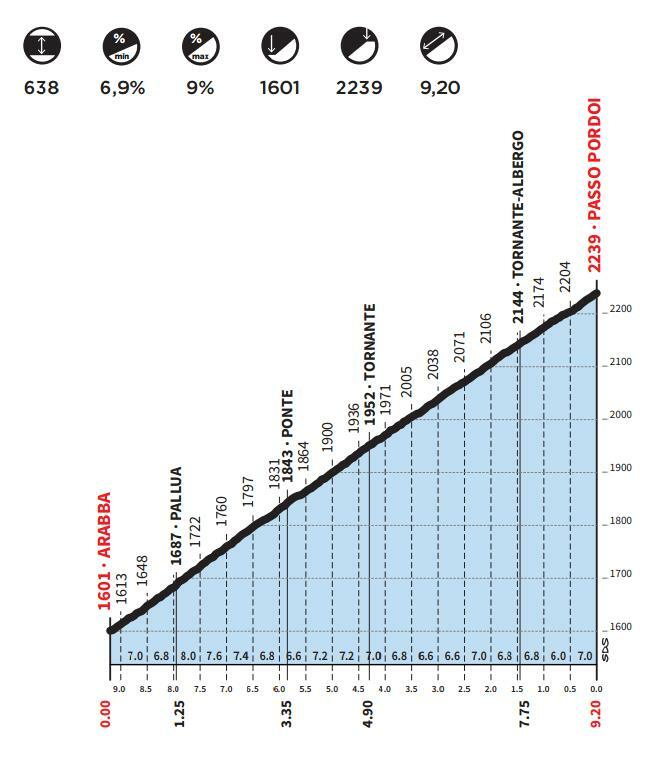 On the first 3.5 km of the Pordoi, you just have 4 series of hairpins with a few long straights in between. 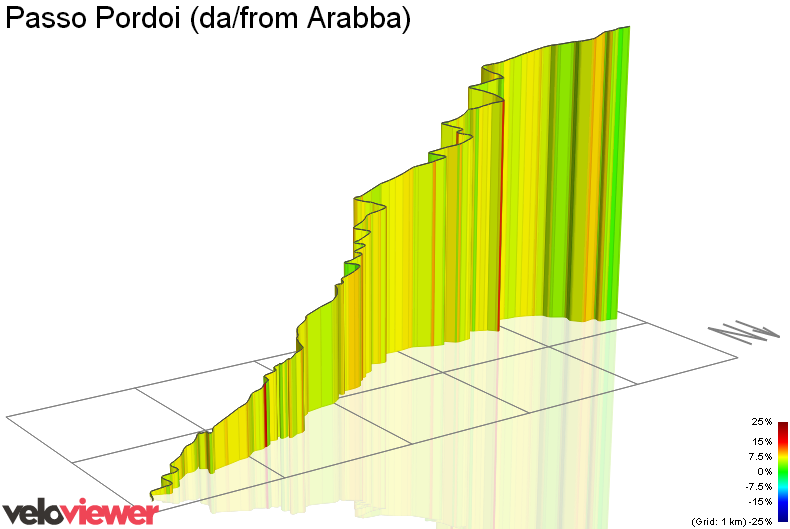 If you get headwind here at the beginning, it’ll be tough the whole way to the top. 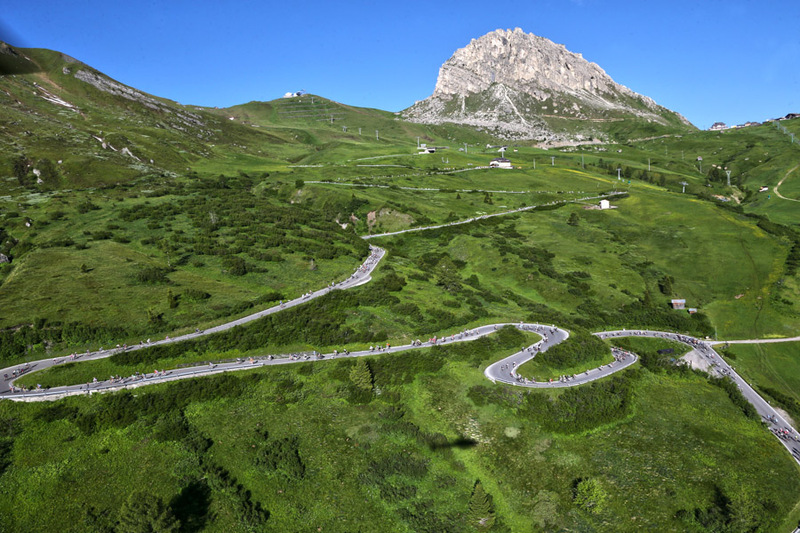 After the 3.5 km, the real hairpin gut of the Pordoi starts: 22 hairpins in 4.5 km! This is an average of 1 hairpin every 200 meters! It’s like a rollercoaster, only that you don’t use the force of gravity to reach the next hairpin - you fight against it. 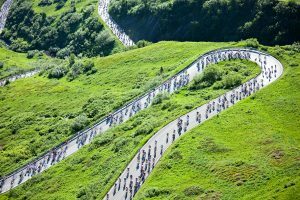 If you ride this route in low season, you’ll hear whistling. These are your fans: marmots! On early morning or late afternoon rides, you might see them crossing the road right in front of your wheels. In the last km up to the top of the Pordoi, let the wind decide your pace again. If you find yourself fighting against headwind, then look back and see what you’ve left behind.